Throw a ball in the air. It comes back down because of the earth’s gravitational pull. 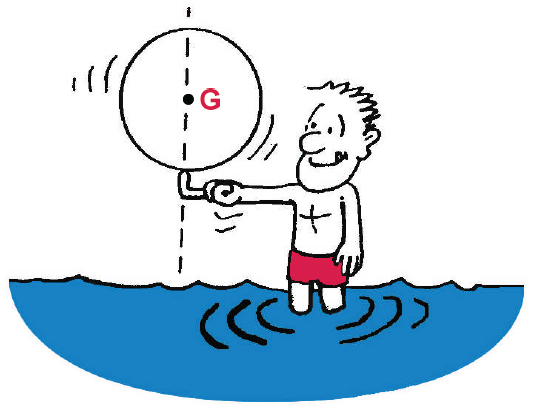 Centre of gravity is the point (G) at which the whole weight of a body can be said to act vertically downwards. The vessel’s centre of gravity is found by carrying out an inclining test. The position of the centre of gravity (G) is measured in metres vertically from a specific reference point (K) which is the keel of the vessel.